He said: “I stepped in after the last town council election, as Townstal was underrepresented and am running again this year. Robin has had a house in Dartmouth since 1974, initially in Swannaton Road and for the last five years in Townstal. He said: “I first came here in 1959 as a 15-year-old on holiday. I really liked it and kept coming back. I took up sailing in the RAF and when I had saved some money bought a home here – it’s a great place to sail from. Robin joined the Royal Air Force in 1964, aged 19 and rose up the ranks to his last appointment as Deputy Assistant Chief of Staff Logistics Operations, from 1994 to 1999, when he left the forces. After training in Feltwell and Upwood, both in Norfolk, he began his career, which took him to many places in UK and all over the world, including postings to Libya, Singapore, Germany and Belgium. He served in the Falklands War. He said: “I ran the RAF logistics on the Ascension Island base for six months; the big task was aviation fuel, but I was involved in storing and supplying everything from food to aircraft spares and accommodating people." Robin is twice married. He has two adult sons from his first marriage, now both in their 40s. One is an army lieutenant colonel and the other works in private finance in London. Robin has three young grandsons from his eldest son and one young granddaughter from his youngest. His younger son was married at St Petrox church. His sons grew up in Dartmouth and both attended Dartmouth Primary School then went on to study at Plymouth College. He married his second wife, Julia, who was in the Royal Navy, in 1990. After retiring in 1999 he ran a consultancy business with two friends based in Stafford for eight years. While Julia was still in the navy they were lucky enough to go to Gibraltar and Naples. He said: “I spent two years in Gibraltar and three in Naples as a house husband, but involved in my consultancy company including proof reading contract bids for small firms via the internet, some of which were more than 600 pages long! The couple returned to Dartmouth full time in 2005. Robin was Hon President of 2380 (Dartmouth) Air Training Corps Squadron, until it amalgamated with Totnes ATC Squadron. He volunteers in Dartmouth Museum and is a Trustee of Dartmouth United Charities. He added: “Before that we lived in the house as much as we could, except for time overseas and I frequently did the weekend commute from Totnes railway station. There used to be about four or five of us on the early commuter train from Totnes on a Monday morning. I think it’s about 80 to 100 on the same train now." “In my five years at High Wycombe, Julia was at Nothwood and we lived in a married quarter there, getting home at weekends." 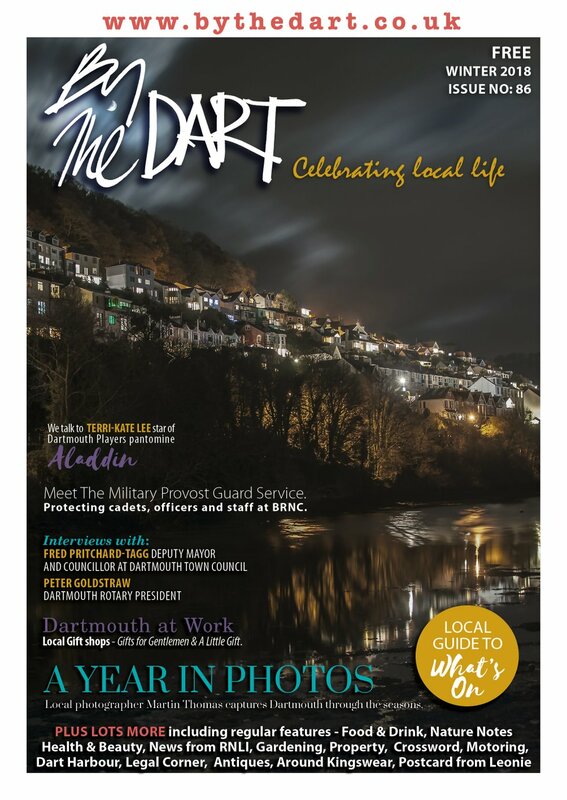 “Dartmouth is a bit of a crazy place to live given its poor transport links but we love it here and it definitely feels like home." Away from work and council business Robin has two clear passions in life – steam railways and Morris dancing. He is a shareholder and volunteer at South Devon Railway in Buckfastleigh and has been a member of Dartington Morris Men since 1980. Robin has held the highest accolade of Morris dancing - he was Squire of the Morris Ring for two years before handing over to his successor at a Morris event based at Dartmouth Academy last September. Dartmouth and the surrounding towns and villages played host to nearly 200 Morris Men and musicians from all over England, which culminated in massed dancing in Royal Avenue Gardens. He explained: “As Squire I was head of Men’s Morris dancing in England and throughout the world, except the US which has it’s own organisation. Over the two years, I was away dancing most weekends and while I held the title I was lucky enough to go to Australia for five weeks of dancing and to Copenhagen dancing at an event hosted by a local Morris side. Morris dancing is quite big in the ex-pat world, as well as some countries in Europe. There is a Morris festival in Helmund in the Netherlands this year." 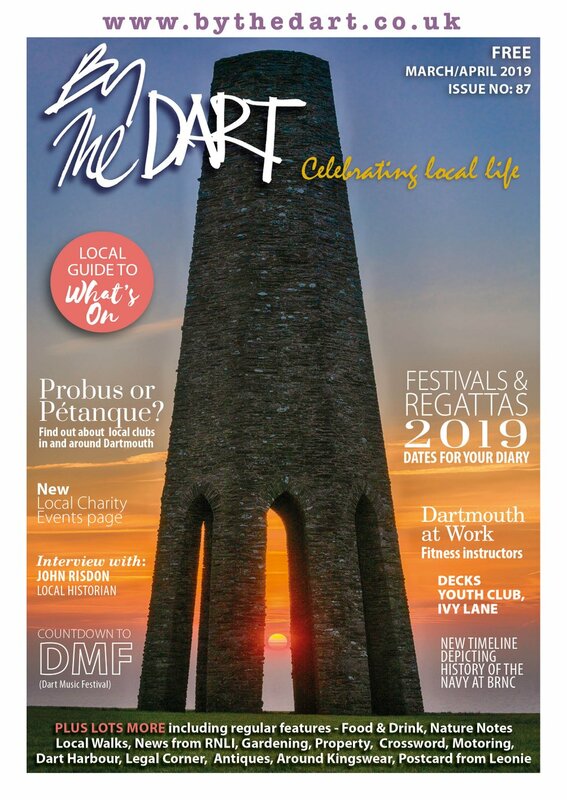 The Dartington Morris Men practise through the winter at Dartington Primary School and dance at lots of events in the season, from May 1 to end of September, followed by events at Christmas and New Year. Robin added: “We dance all over the South Hams, Torbay and Dartmoor and nationally too. It’s mainly traditional Cotswold Morris, with hankies, bells and sticks; we are the only side to dance Filkins Morris dances, from the Cotswold village of that name, but we also do Long Sword from the North East and Scallop from the Isle of Man, using scallop shells (kindly supplied by local fishmonger Mark Lobb!). It keeps me fit and we are always looking for new members." “The dances originate from different parts of the UK and were collected together around the beginning of the 20th century. The first reference made to Morris dancing is in the 1400s so it definitely goes back to the Middle Ages, probably well before that." His wife Julia doesn’t Morris dance but they share a passion for bird ringing – helping monitor birds’ movements for the British Trust for Ornithology. They are both part of the Slapton Ringing Group at Slapton Ley and they regularly monitor birds in Gibraltar, where they run a bird observatory for a couple of weeks every year, while staying in their house in Spain. 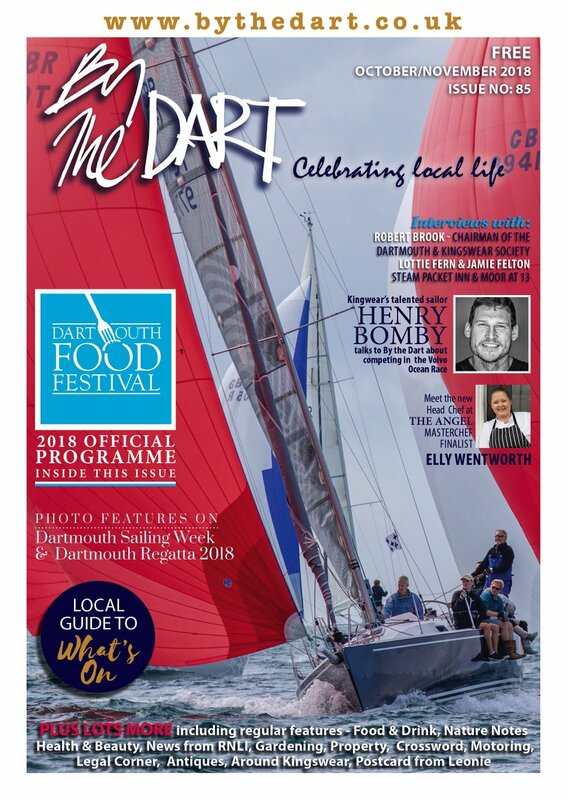 They used to own a 21-foot Drascombe sailing boat moored on the River Dart and sailed boats as a hobby, including some of the RAF yachts. Robin is a qualified offshore skipper and was once Vice Commodore of Naples sailing Club. He said: “I have done that and now would rather go bird watching or do the gardening! He grew up in Hertfordshire and Essex. His grandfather was Chief Superintendent of East India Docks in London’s East End. The family was bombed out of the East End during the last war and Robin’s mum lost sight in one eye during the Blitz. Robin’s father was in the army then worked in insurance. When his father retired his parents moved to Torquay in the 1980s, where they later died. Robin’s mother-in-law, Frieda Morgan, lives in Dartmouth and, with her daughter Julia, is a keen member of the local parish at St Clement’s Church.